Just when Audrey thinks that all is lost, she discovers something that will change her life – the hidden diary of Alice Roosevelt. The former First Daughter shares her innermost secrets and stories about her experience in the White House. Audrey finds herself having an ally (sort of) in Alice. She loves the defiant, bold Alice Roosevelt and begins to live her life in the way Alice would – at times getting into a muddle of trouble. I loved this book. When Audrey Met Alice brilliantly combines good story telling with an artful dash of historical fiction. Kudos to Rebecca Behrens for accomplishing a novel that is entertaining, inspiring, and totally believable. Thirteen-year-old Audrey longs to be an adult and experience a bit of freedom herself. But she’s also a young girl in middle grade, who speaks in acronyms, has a crush on a boy, and wishes for a bit of drama in her life. Author Rebecca Behrens has definitely done her research and When Audrey Met Alice feels like a book that’s perfectly in tune with the juvenile fiction category. She makes it relatable with acronyms, Internet chats and Facebook posts. You’ll see this acronym mentioned often in the book. It is a motto Audrey adopts for her life (inspired by one Alice Roosevelt lived by over 100 years prior). These four letters sometimes create such a powerful havoc on Audrey’s life. To know what it means, you’ll probably have to read the book for yourself. When Audrey Met Alice is clearly a book that’s not dumbed down. With great life lessons and political platforms, all evened out with a dash of mischief, Rebecca Behrens has written a book bound to be on parents’ “Books To Get” lists. 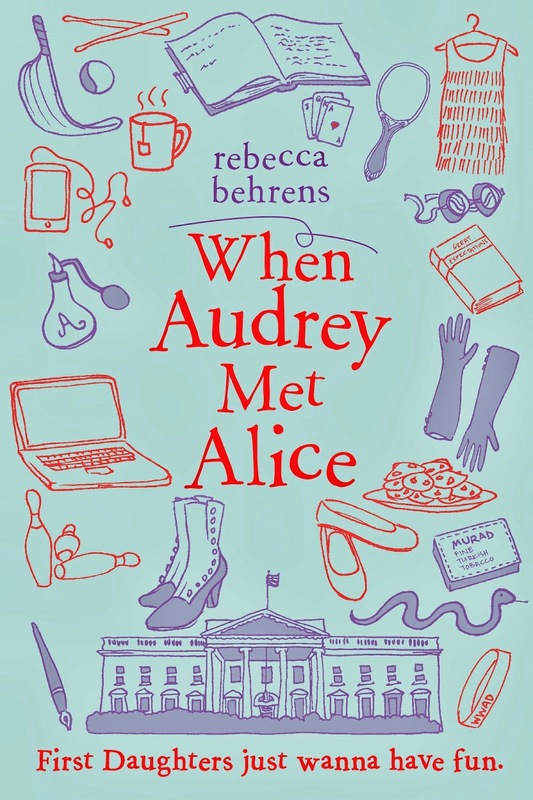 When Audrey Met Alice by Rebecca Behrens is published by Sourcebook Jabberwocky, an imprint of Sourcebook. Distributed in Canada by Raincoast Books.